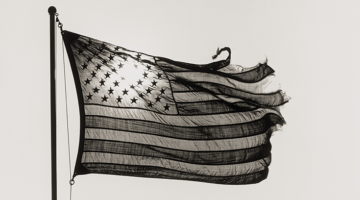 Real political change must be spiritual. Real spiritual practice has to be political. 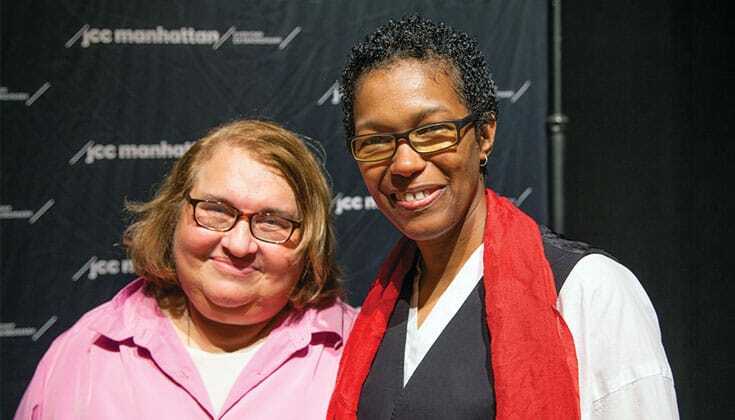 Buddhist teachers Sharon Salzberg and Rev. angel Kyodo williams on how we can bring the two worlds together to build a more just and compassionate society. 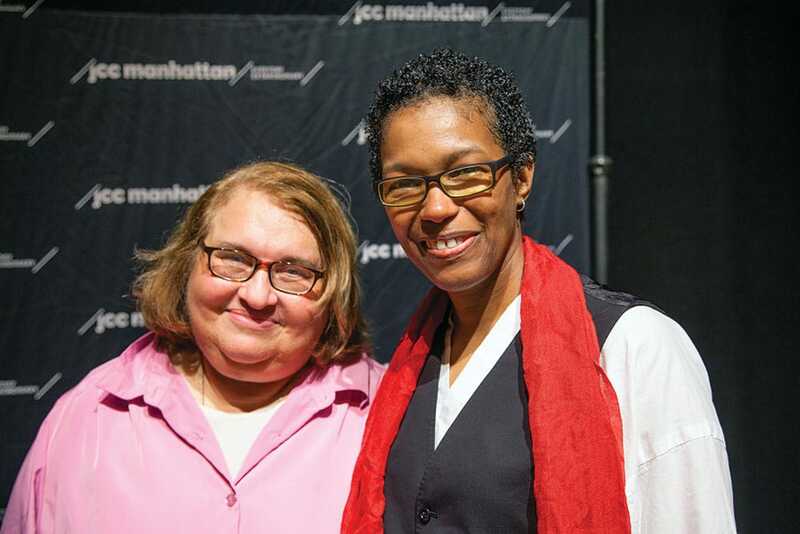 Sharon Salzberg (left) and Rev. angel Kyodo williams (right). 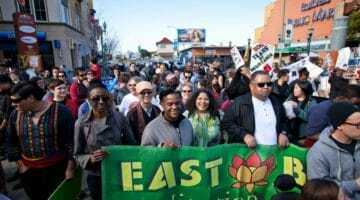 This exploration of the relationship between spiritual practice and political activism took place at the Jewish Community Center in Manhattan. The event was cosponsored by the Garrison Institute. Photo by Christine Alicino. Sharon Salzberg: I’d like to start with a meditation. Settle your attention and energy into your body and feel your breath. Find the place where the breath is strongest for you, bring your attention there, and just rest. Feel your normal, natural breath, however it’s appearing, however it’s changing. No matter what we go through, no matter where we are, we have this anchor, this centering point, available, if we remember it. So just rest your attention on the feeling of the breath. If distractions come up that aren’t too strong, you can stay connected to the breath. Just see if they can flow by. But if something’s strong enough to pull you away—you get lost in thought, overcome by a fantasy or fall asleep—don’t worry about it. The moment after you’ve been gone, after you’ve been lost, is actually the most important moment. That’s when you have the chance to gently let go. It’s what one of my teachers calls “exercising the letting-go muscle.” You have the chance to begin again. Instead of giving yourself a hard time, you can let go and start over. When you feel ready you can open your eyes or lift your gaze. Thank you. I’d like to tell the story of a conversation I had some years ago with a civil rights pioneer about love for all beings and love for life, which become one. Myles Horton was the founder of the Highlander Folk School in Tennessee, which was a kind of training ground for civil rights protestors and later for people beginning the environmental movement. It’s a complex question. What in the world could it mean to love everybody? To love somebody that you actually don’t like, that you’re going to fight and protest against? Rev. 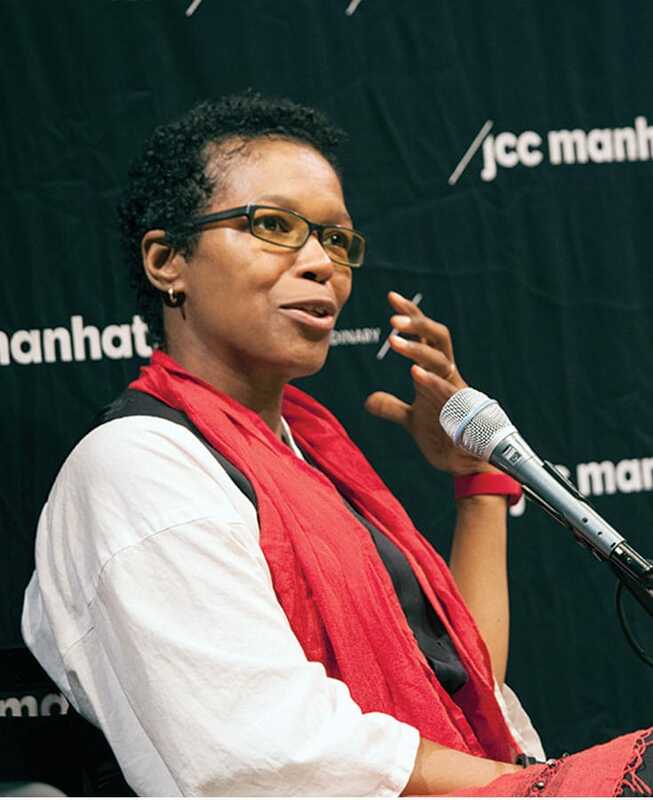 angel Kyodo williams: You don’t have to like anyone at all! [Laughter] People always tease me about this. I hardly like anyone. But I love everyone. And that is possible. In fact, it’s the very thing that bridges the spiritual life and the activist life. When I came to Buddhist practice, I thought that when people were at the pinnacle of their practice they would see the need to respond to the problems in the world. Isn’t that what would happen once you get there, wherever “there” is? But that wasn’t my experience, so I switched my focus to the activists. They were trying to change the world, and I felt that if I could support them with meditation and awareness practices, then they could do it more effectively. In social justice work the only option is loving everyone. Otherwise, there is no path to real change. What I ran into, of course, was that they pretty much didn’t love anyone. [Laughter] So love is what I’ve focused on, because in social justice work the only option is loving everyone. Otherwise, there is no path to real change. Whether we’re leaning toward the spiritual community or the activist community, what we need is the combination of a mind that wants to change the world and a mind that is steady, clear–seeing, and seeks change from a place of love, rather than from a place of anger. It’s important not to get stuck in your own views. Even if you think yours is the right way, there’s always someone else who has another way. Then you’re in an irreconcilable conflict that doesn’t get resolved except, I think, through love. King and Gandhi understood that everyone holds some aspect of the truth. So when you’re in the pursuit of social justice, it becomes very difficult to hold onto your own idea of the truth. You’d think that the more you’re in pursuit of justice, the more you know what’s right. But it’s actually the opposite. Happiness and suffering, right and wrong, like and dislike—these are the paradoxes that exist for all of us balancing the inner life and outer life. We think it’s one or the other: either we like and agree with people, or we’re against them and we have to hate them. The question is, how do we exist in the space that holds both of these dualities at once? Sharon Salzberg: Thank you for that. That was beautiful. Happiness is another kind of inner resource for people seeking social and political change. I don’t see how any of us can keep giving when we feel depleted and exhausted, when generosity is trying to come out of nothing. The sense of replenishment we get from our own happiness is a gift not only to ourselves but to others. It’s hard to help others over the long haul without the inner resource of happiness. The sense of replenishment we get from our own happiness is a gift not only to ourselves but to others. Some people think of happiness as just avoiding conflict and seeking pleasure. They feel guilty about being happy because there are so many people suffering. And people are suffering and it’s terrible. Yet it’s so hard to really help others over the long haul without the inner resource of happiness. Rev. angel Kyodo williams: Along with happiness, joy is one of the fundamental abodes. Lack of joy is where we often have difficulty as activists. On the other hand, some of us who are doing contemplative work tend to be conflict-avoidant. If we are abiding by right speech, then, heaven forbid, we don’t talk about race, because that’s difficult. If what we’re practicing now is running ourselves into the ground in order to have justice, at what point will we practice something different? Because whatever we practice now is what we will practice in the future. Sharon Salzberg: I think one of the things the meditation community can learn from the activist community is systemic thinking. By itself, meditation will produce a kind of good heartedness and compassion, but I think it’s not directed at social and political systems. It’s about looking deeper: what are the social causes and conditions that create homelessness? I’ve learned this kind of thinking from people like you, angel. I don’t think it could have come from my own meditation practice. It takes another kind of education. Rev. 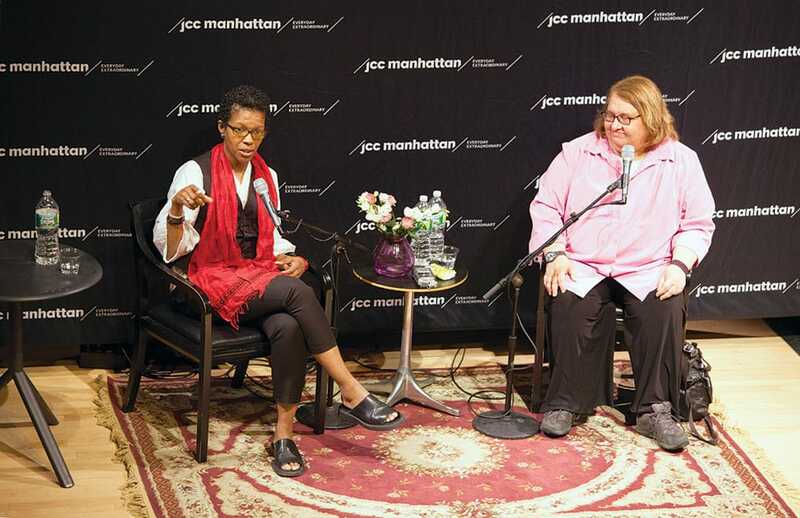 angel Kyodo williams: Most of the people who are driving structural activism are doing it, at least initially, out of their own experience—either personal necessity or their relationships with people suffering oppression. So we have a challenge because meditation and mindfulness have largely landed in a privileged community of older white folks. I’m obsessed with the question of how we shift that. How do we not let our own circumstances determine where we focus the lens of our practice? If our lens stays within our privileged circumstances, then we turn our compassion only toward things that are personal and interpersonal. Rarely does that lens focus on systemic problems, because the personal need to do that doesn’t exist. People aren’t going to deal with things like racial injustice and white supremacy because they’re not affected by it personally. We need to solve this. We can’t let such a powerful tool as meditation be limited by people’s personal circumstances. We don’t have the numbers to move this country toward greater social justice if the only driving force is whether or not people are feeling the pain personally. I think there’s something in our social order that contributes to this. There’s something in the way we are practicing Buddhism that actually seems to make us more insulated. Even this practice that is supposed to be about how we relate to the world and to the people around us becomes hyper-individualized. It’s time for us to cut through that. How do we speak about these things differently so love for everyone is what drives us? What is social justice about? What is contemplative practice about? What joins them or aligns them so we’re not only looking to our own set of circumstances to orient ourselves? How do we speak about these things differently so love for everyone is what drives us? Question: Rev. angel, I liked what you had to say about not necessarily liking people. For me, there’s aversion attached to that, so I don’t know how you bring in the love. I am very distressed by violence toward women and children, especially child brides who are sold to men at a young age. I feel, essentially, hatred for people who do that and I don’t know how to get in touch with equanimity. Rev. angel Kyodo williams: I think the critical piece is learning the difference between aversion toward the injustice and not loving the person. My experience is that it actually has to do with the relationship we have to ourselves. The path to loving everyone is loving ourselves, and loving ourselves completely. So we have to investigate what is not fully accepted in ourselves, what feels unworkable, untenable, and needs to be left behind. I hate that I can’t do anything about violence against women and children, and that makes me hate the perpetrators. But I don’t even know them, so generating hate for them is, I think, almost impossible. What I actually hate is that I feel helpless. For me, the behavior of individuals is an indication of the failure of society. When I sit with a sense of the human being there, I don’t actually feel hatred at all. I feel a kind of grief for their circumstance and for the society that allows injustice to happen. 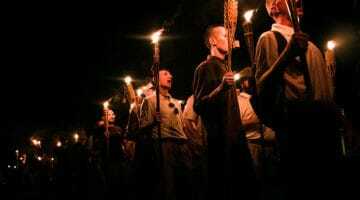 They’re just as caught up in it as every other person who allows this to be the social order. It’s hard to accept, and it’s a really, really deep practice, but I haven’t discovered anything else to be true and actually workable. 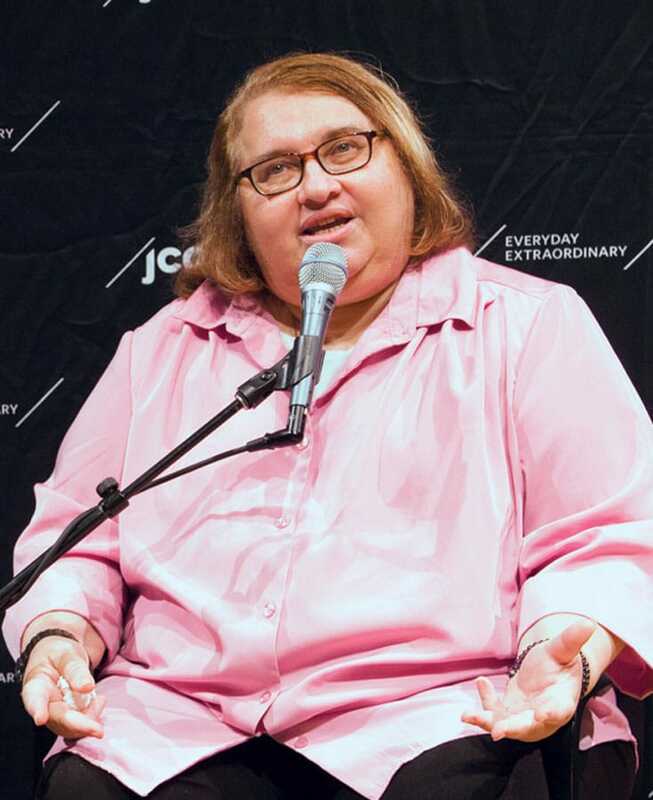 Sharon Salzberg. Photo by Christine Alicino. So that is the prompt: Look deeper. Look at all the causes and conditions. But that kind of assessment is so rarely applied in this country. Question: I’ve been thinking a lot about loving myself, but I feel like I have to like everything about myself to love myself. But I had a realization when you were talking that I could just have some compassion toward myself. I don’t necessarily have to like every part of myself. It’s a process. Sharon Salzberg: You’re right. Part of the way I think about it is the contrast between self-compassion and self-esteem. Self-esteem is nice. You don’t need to focus only on your faults. Maybe this morning you did a really stupid thing, but you also did five great things. Give those a little airtime too. Self-compassion comes in when you’ve blown it, when you’ve made a mistake. When I teach meditation, I emphasize that so much! It’s not going to be 9,000 breaths before your mind wanders. It’s going to be one or two breaths, or maybe five, and then you’re going to be gone. You’re going to be way gone. And that’s the extraordinary moment when you can forgive yourself and start over. Question: Rev. angel, when you go back to your community, they may view Buddhism as something that’s for rich people, not for them. How do you approach it? Rev. angel Kyodo williams: I don’t talk about Buddhism to the folks anymore. With all due respect, I don’t care about Buddhism. I’m not nation-building around Buddhism. We nation-build a lot. We’re colonial by inheritance, and we get very fixated on this thing that we’re building. I just want it to work. I point to the basics and let people find their own way. As long as they’re clear that it’s about love and liberation. I just want it to work. I want people to be liberated. I just point to the basics and let people find their way to whatever lineage, practice, tradition, or religion they want to find their liberation in. As long as they’re clear that it’s about love and liberation. Question: You were talking about how compassion and love can transform society. But we’re dealing with a tremendous amount of injustice, so how do you reconcile patience with that? Sharon Salzberg: I find that there’s an amazing quality of patience in a lot of visionaries. People who have a really big picture of life often have a kind of unflagging patience. Maybe it’s because they’re connected to something bigger, whereas I may be more caught up in the immediate ups and downs. I don’t feel despair. I think that there is a significant movement happening, the beginning of many things. Things take time, and there’s so much that’s unknown, but I don’t feel despair. Maybe I should, but I think that there is significant movement happening, the beginning of many things. I feel a kind of happiness, even. It’s so hard to see the end of the story, very hard, but we get a lot of energy doing what we feel needs to be done.